Follow the band: https://www.facebook.com/declineofthei Agonia Records: http://agoniarecords.com https://facebook.com/agoniarecords https://twitter.com/agoniarecords https://soundcloud.com/agoniarecords http://youtube.com/AgoniaRec French post-black metal act DECLINE OF THE I has finished the recording of its sophomore album "Rebellion", which will land in early 2015 via Agonia Records. The first song to be revealed off the release, "Hexenface", is available for streaming now. The artwork of "Rebellion" has been designed by David Fitt (Aosoth, Secrets of the Moon, Svart Crown). After a heavy and neurasthenic first chapter "Inhibition" (2012), the new opus "Rebellion" represents a more brutal side of DECLINE OF THE I, emerging through violent, epliectic and fast compositions. "Mixing different kinds of dark and extreme music, the album is hard to be compared with any other band" - comments founder, A.K. The concept of DECLINE OF THE I is inspired by the works of the biologist Henri Laborit and falls into the genre of avant-garde post-black metal. The band is led by multi-instrumentalist A.K. (guitars, keyboards, programming, samples, bass and drums) who is accompanied by S. on drums, V. on vocals and G. also on vocals. A.K. has played in a number of metal bands such as Vorkreist, Merrimack, Neo Inferno 262, Malhkebre and Diapsiquir. DECLINE OF THE I is his "personal approach on dark music". 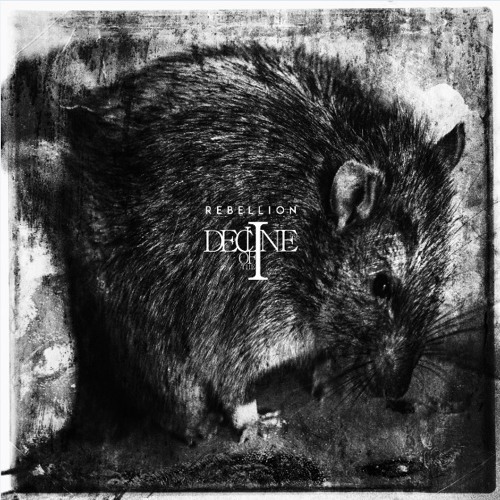 More news on "Rebellion" will follow soon. titre excellent ! De quel film est tirée la réplique ?